How to offer feedback during collaborative sessions should be well-thought-out with an understanding of your audience, a situational analysis, and any regional or cultural bias of which you may be aware. Bearing these issues in mind, we have several problems that could arise if you aren’t careful. How do you improve communication within a team and keep people engaged and avoid getting trapped in having to defend ourselves and our positions because of a poorly placed pronoun or two? 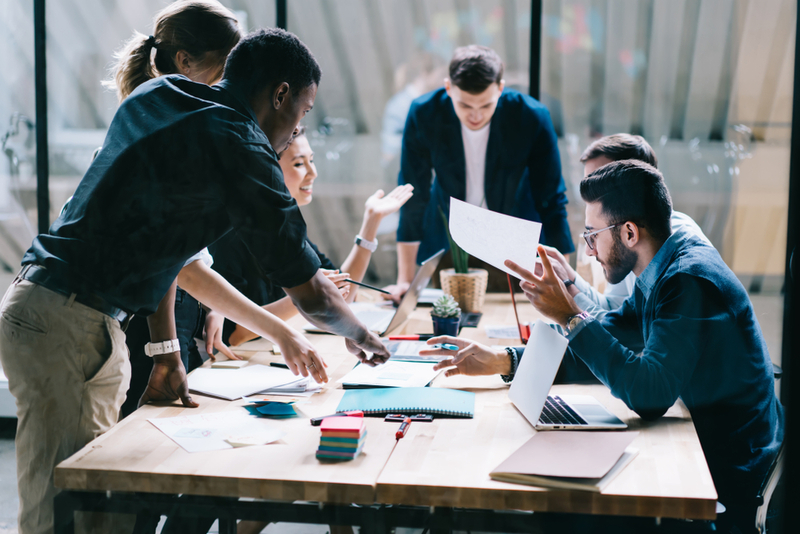 This may be a familiar scenario: You are working in a group that has convened because there is some constraint or stressor that has the team on edge. A team member presents an idea, and someone in the audience says, “That could work, but you have to consider the downstream effects.” Well, who, in this situation must consider that it could work? Is it the group? Is it the person presenting the idea? Is it the person offering the rebuttal? Who is “you?” It's not uncommon to get an aggravated response if someone feels slighted by the statement or believed that it was directed at them. They may think, “I did consider the downstream effects. Have you?!". Now you are in a position where there is tension, and that tension may increase and affect the productivity of the team if not addressed immediately. Why does this happen? It happens because the speaker interpreted the "you" as a direct pronoun. It strikes a tone as if the presenter didn't contemplate something that a person posing the question already has measured. The perception maybe they have been accused of not having thought out their idea, leaving them insulted and frustrated, which could take the discussion off course and disrupt the productivity of a team. So, how could this be prevented? Maybe changing the tone of your questions would help provide constructive feedback. One way is to avoid rhetoric by eliminating uncertainty and frame your inquiry to produce a collaborative response. Take out the "would," "could," or “should” and put the responsibility on yourself or the team to maintain a collaborative tone. It’s even fair to correct yourself when if you realize that your comment was intended to be supportive but interpreted as accusatory. "I didn't mean you, specifically. I mean us, the group. We must consider the downstream effects. Have these already been addressed?" Taking responsibility for the feedback offered is essential. It's only fair to those putting their ideas up for analysis. If a formal communication plan is too cumbersome for an engagement for smaller outsourced development projects, maybe set the stage before a one-on-one or team session by explaining, up front, that your questions are intended to gather facts and not point fingers. Direct and straightforward, the group now understands the intent of a line of questioning and things can move on, collaboratively. This may be particularly helpful when communicating over a common language that is not native to some of the team members. Essentially, it is a benefit to remote teams to set your communication standards up front, especially when that communication involves clients. It's the "royal you" that needs utilization in many business contexts. Whether it be “you” or “yours” it’s best to address your colleagues with concern towards how informal pronouns can be problematic if not used with an understanding of the environment in which you are working. Be direct, use respect, and be careful of how you present your ideas and feedback. And, yes. I am talking to you!